“Hello! Damon surprised me with a personalized garter on our wedding day. The garter was presented in a sweet box. Glitter and all! 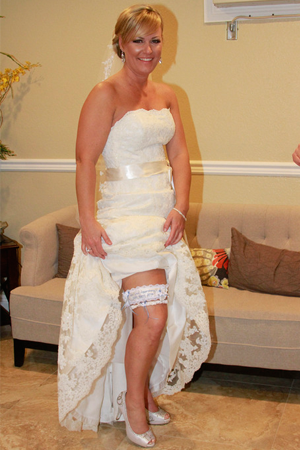 My garter was phenomenally beautiful! 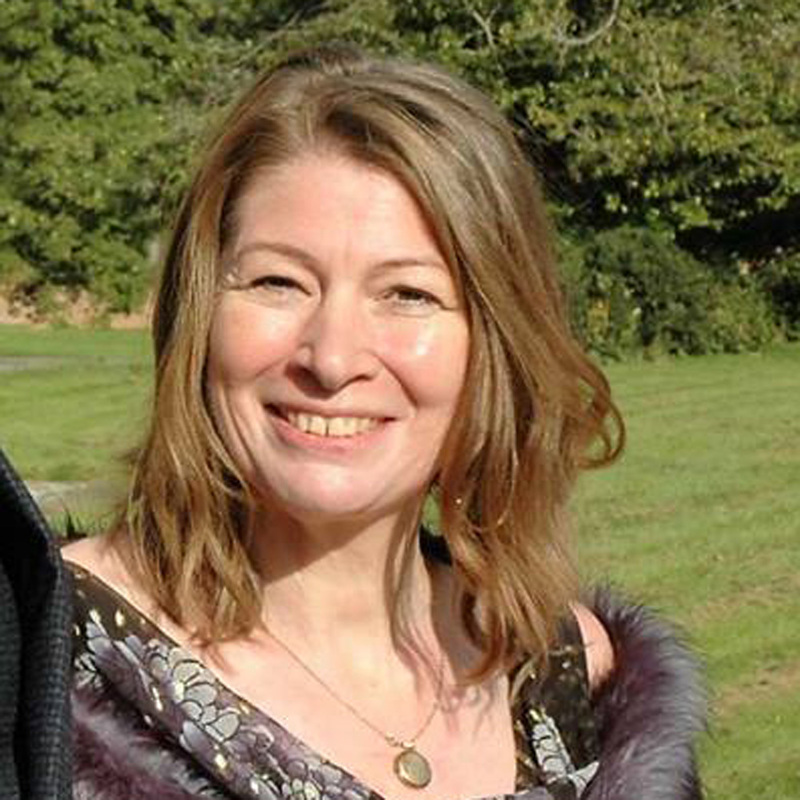 The quality was superb, quite comfortable and not bothersome whatsoever. 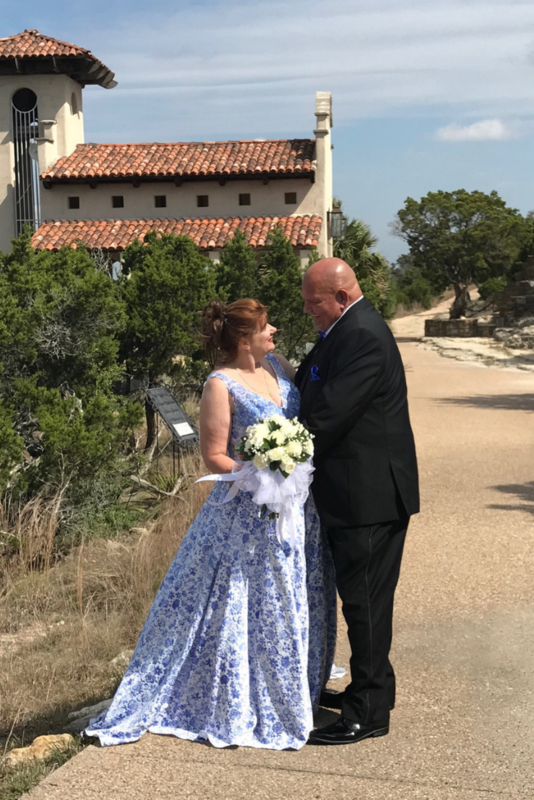 Thank you for working with Damon on my precious memory of our magical day. 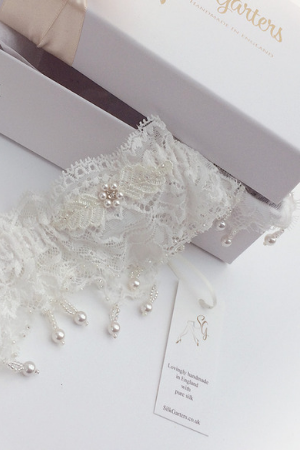 Damon ordered a personalised ivory garter set in silk, with a matching sixpence bag and a garter to toss, all in a beautiful gift box. 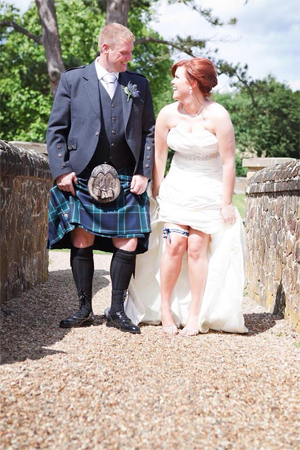 Lynsey ordered a custom made personalized garter with Rangers tartan and ivory lace. Your choice of tartan, is embroidered with your new married name, or both your names and completed with a glamorous tartan bow and diamante.